It’s important to always keep flammables in the proper containers. This is because even if you store flammables in a cabinet for safekeeping, the wrong container can lead to problems. 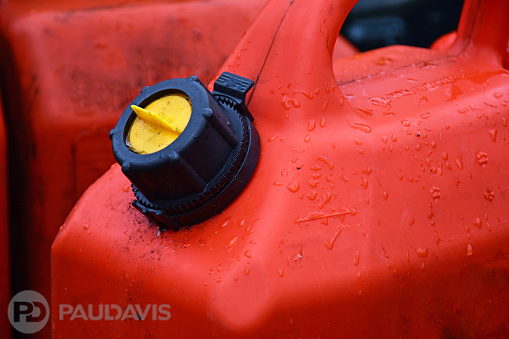 Never use everyday items such as milk jugs, Tupperware, or old paint cans for storage of flammables. Flammables should be kept and transported only in approved containers such as Factory Mutual (FM)-approved safety cans. This is because flammables are extremely volatile. Even the smallest disruption could cause trouble—so having proper storage containers is vital.